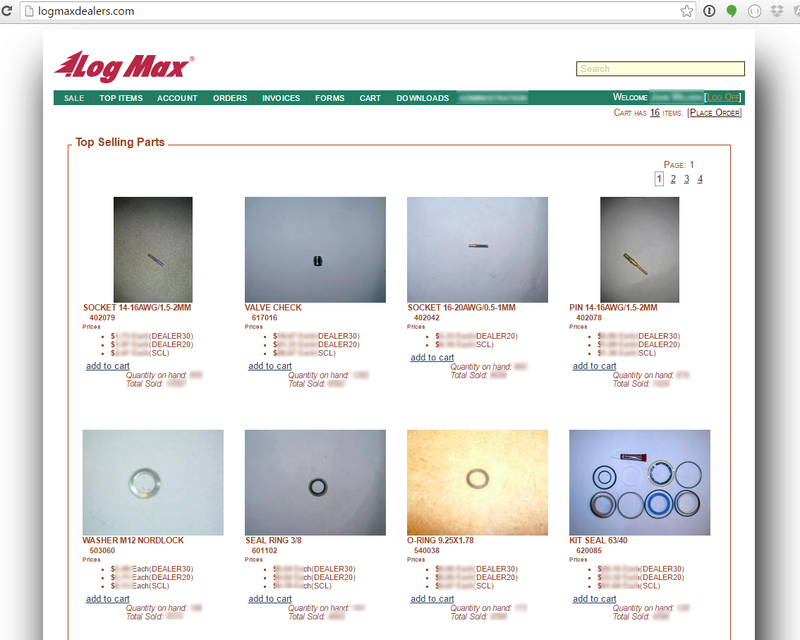 A long time client of mine is Log Max, Inc. I built their online browsing and shopping experience from scratch, in ASP.NET MVC, and with some hand built CSS and HTML. The application has been running in production for more than eight years now with no major issues or downtime. The web application uses its own database, and interfaces with a major inventory-and-sales database backend. In addition to browsing, searching, shopping, and invoice management, the application includes a robust warranty workflow management section, and comes with a consistent and reliable management section. Recently I migrated the in-house application to an AWS hosted web application with some custom API’s for syncing data from the in-house Microsoft Dynamics GP ERP.